Giving... the ability to share resources with other people. We usually perceive giving as an act that can only be performed by well-off people. Meaning, the act of giving is based on the excess resources that one has. But giving is not really about excess resources, it is more on the willingness to give. Giving focuses more on the human heart rather than surpluses. People decide to give to the needy not because they have surplus items, which they want to get rid of, but simply because they really care for those people. We are all capable to give, there's no doubt about that. But, in between the act of giving and the decision to give lies a gap - a gap of questions. Some of these questions are: How can we give? When do we give? Whom do we give? These questions require answers in order to bridge the act of giving and the decision to give. With this, let me introduce to you my my newly-conceptualized project called PisoSparks. PisoSparks is a project that aims to display giving by means of saving money in a very stress-free approach. The idea here is to create funds by challenging a person to save one (1) peso a day for 200 days. At the end of the challenge lies a very simple question: How far can your PISO go? All savings donated by people, who accepted the challenge, will be used for donating books for the library, school supplies for the community,and many more. So, are you up for the challenge? If you are, kindly contact me through this blog or through Blogged by Artistmat. PisoSparks challenge will begin on September 6, 2014 at my classmate's birthday celebration. And from there, the challenge will spread like wildfire. The day has finally came. 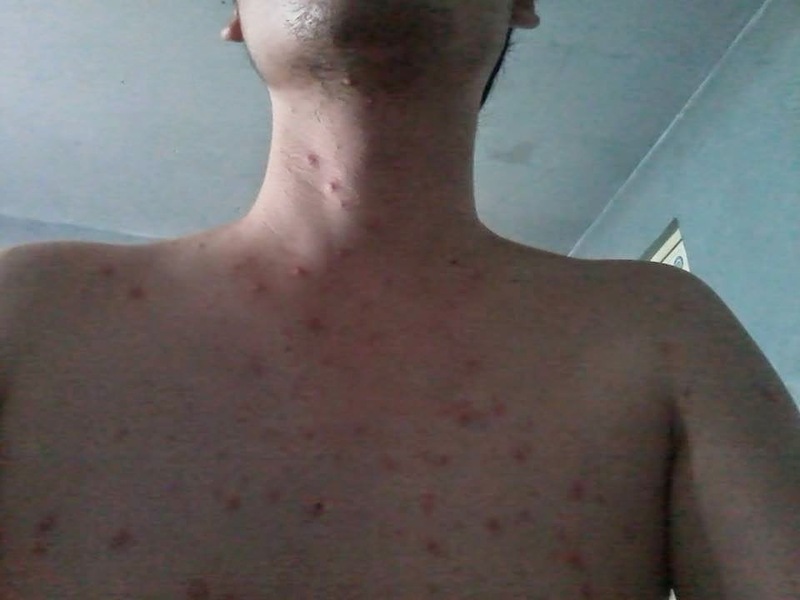 I had been infected with chicken pox at the age of 26. Having chicken pox is both a fear and an anticipation. They said that having this at a mature age will leave marks on my skin, which is considered a nightmare for me. Thursday afternoon came. One small dot grew at my back and I was in denial. And as the night came, numbers grew. Yes, I was still in denial until Friday morning went by. My aunt, who is a nurse, confirmed it to me. My fear has finally penetrated my body. Days went by and numbers grew. My fear dominated me. I was being controlled by it. A week of rest and medication was all I did. I was not allowed to come out or even roam around the house. It was a total rest for me. It is against my will, but I have to cooperate for me to be cured. As of this writing, I am getting better. My skin's recovering from that strange manipulation. What's really amazing is that my face doesn't really been infected that much. The only portion that have been bombarded by those red dots were my front and back (parts that are not usually exposed to pubic). I'm really thankful that it didn't go too far by means of covering my entire body. Good thing that I allowed other people to help me. It's a good decision that I entrust my health to them, who have already experienced this. Life goes on for me. And I'm really excited to finally get rid of chicken pox' silent marks. And by the time that it's already gone, my Youtube channel will be in full progress. Watch out for it. It's three days to go before U! Happy Events' "Be A Hero: A Cause Play Event" takes place! We invite volunteers, who are heroes of their own, to come join us in an event filled with heroic activities. 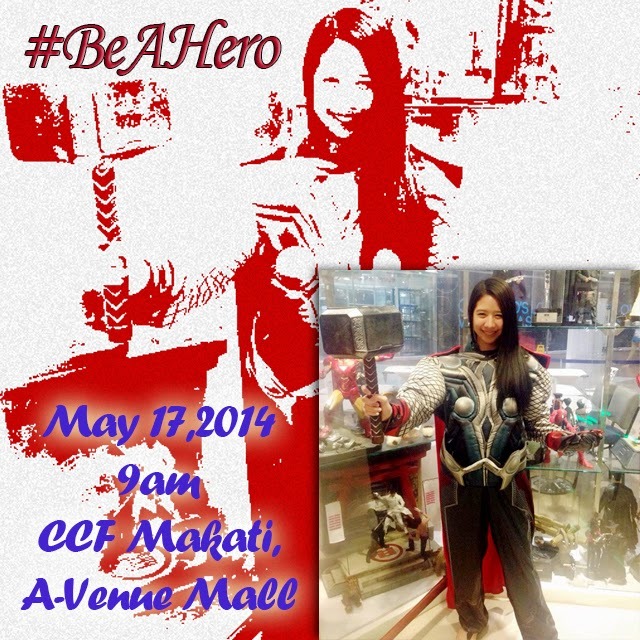 Volunteers are encouraged to come to the event wearing their hero costumes - superhero, national hero, and etc. The event was conceptualize to educate the kids of Metro World Child the meaning of being a hero and how to become one. And with the aid of volunteers, heroism will surely be felt and be seen by kids. So what are you waiting for? It's your chance to be creative with your costumes and have fun with kids as you emulate authentic heroism at its finest. Be sure to be a part of this as U! Happy Events will surely make this event a memorable one for both kids and volunteers. Participants will be doing a certain activity, which will be the highlight and trademark of "Be A Hero". 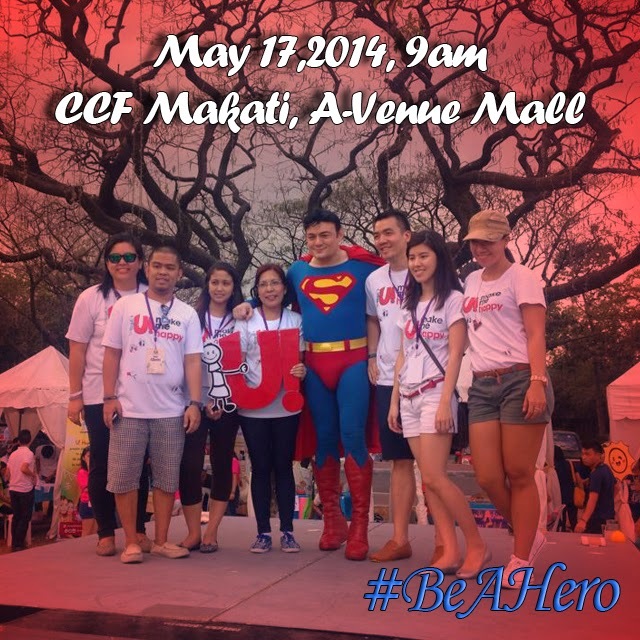 Don't forget to mark May 17, 2014 on your calendar and prepare to #BeAHero! P.S. Cosplayers are very much welcome to attend the event. We need 30 genuine cosplayers to join us as we will encourage kids to be a hero on their own. So if you're one of those talented few bearing the art of cosplaying, please do PM me HERE. Thank you so much! Nowadays, movies and TV series featuring superheroes with super strengths are the "it" thing. These super guys gifted with super powers are becoming children's favorites especially that they kick villain's asses. Superheroes are often depicted as crime-fighting people gifted with nicely-sculpted body, aggressive personality, extraordinary charm, and amazing super powers. Being a superhero is equivalent to having great responsibility to other people. But, one doesn't really have to be a super in order for him to become a hero. Being a hero means having a good heart for other people especially for those in need. A hero is someone, who dedicates his life in doing good deeds and having great purpose for this world. And that hero could be you! U! 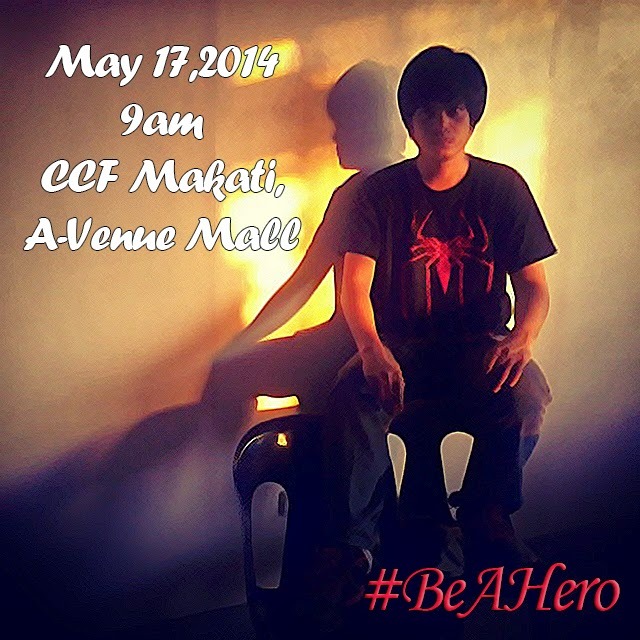 Happy Events invites you to a be part of an event entitled "Be A Hero: A Cause Play Event", which will happen on May 17, 2014, 9:00 am at CCF Makati, A-Venue Mall, Makati Ave. This event is about educating kids of MetroWorld Child the value of authentic heroism and how it can easily be achieved through means of good deeds. The event is also about unleashing the hero sleeping within a volunteers' hearts through a variety of activities. 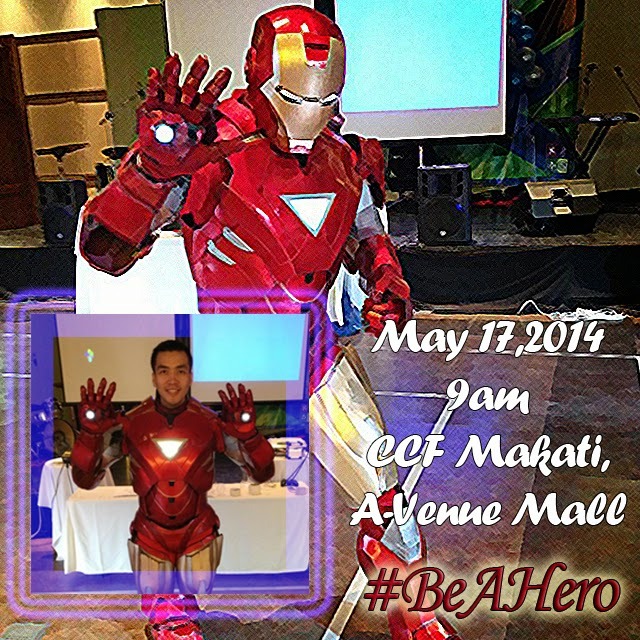 Volunteers are encouraged to wear any hero costume (national hero, superhero or any hero that you can think of). I was in college when I started dreaming of entering the academe for one single reason - teaching is my simplest contribution towards building this nation. I was a dreamer back then and I never took any single room filled with doubts. 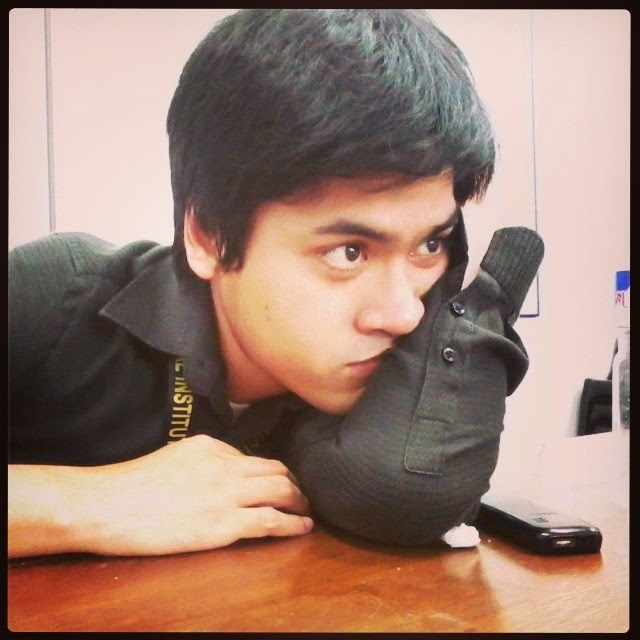 And yes, that dream is not a dream anymore for I am now part of the world I used to dream of - the academe. 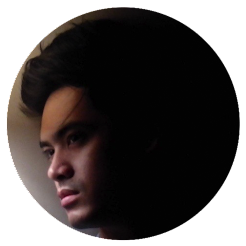 I am now an academician and that allows me to hone, motivate, and inspire aspiring architects. Read Academe: A Dream in Progress. But there is still an untold story behind that dream. I also dreamed of becoming the next department chair. As I have mentioned, I am a dreamer back then. I aspired for it simply because it is a leadership position. I was aiming for that as early as college and was even thinking of changes that I will be bringing for the architecture department. It was March 7, 2014 when I started my job as the department's faculty in-charge. The job requires me to act as the department chair and my duty is to manage the architecture department. The job itself is my training ground towards reaching that single dream - becoming the next department chair. I know that I am already an inch closer towards that dream and I am holding on to it until I have finally have it. What do they get from such habit? I guess, it’s purely entertainment. But, what do I get from such judgment? A broken heart and a spirit in lament. And every idea can transform me. For I know my own personality. If only you know how crazy this world is. How I see you in my very own eyes. But judging you isn’t my lifeline. While I enjoy my life starting this day. I wasn't able to attend work earlier because of low potassium level. And just like before, I spent the day just lying on my bed and trying to regain my strength. I guess my body wants me to take a break for a moment. During lunch time, I met this girl,who happens to be the daughter of a painter. It was my first time to meet her and got the chance to talk to her. I started the conversation with her schooling and stuff. I even asked her what her ambition is and her answer was, to become a teacher. As curious as I was, I asked her why and her simple reply was... she wants to teach kids for them to become smart. That simple conversation made me realize something - kids' dreams are very simple and selfless. Talking with kids regarding dreams and ambitions may enlighten us with what we really used to dream of and how we dreamed when we were still young. We used to dream to become someone simply because we wanted to help out and become a solution to the problem. It was always about being selfless. Our satisfaction level during those times was very authentic. We wanted to become someone simply because we want to achieve joy and fulfillment. And as we grow up, those dreams and ambitions were slowly becoming things of the past. We were eaten up by reality. Practicality started moving in and everything changed. We started dreaming of a career that we thought would make our lives easier. It is not about being simple and being selfless. It is now more on how to become rich and famous. There's a big difference on how kids and adults dream. 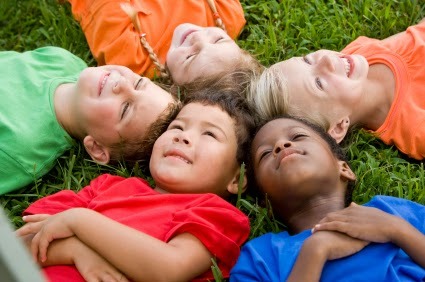 For kids, life is about finding joy through selfless deeds. Adults, on the other hand, see life as earning money, creating a living, and becoming someone higher than everybody else. For them, happiness can be achieved through good occupation, money, and popularity. It is a sad thing that our once simple, yet selfless dream careers didn't happen and we need to cope up with reality by pursuing different careers. We were all victims of this world. Our mindsets became narrower and narrower until we see no one but our own selves. And instead of being selfless and being useful to other people, we became useful only to ourselves. Everything was just a dream now... and we can't go back to what we've left. But, we can still revive that dream. We can still start dreaming of becoming a solution of the problem. We can still become useful to the society as a whole by doing deeds that will benefit everybody. Let's dream all over again. Let's become a dreamer of change; let's start dreaming just like how we used to dream; let's dream like a child - simple, selfless, authentic. Dream on! Today's the day. It's time for me to fly back to Manila, where my career and education are. Visiting Iloilo, my hometown, has finally come to an end. With this kind of scenario, I can't really help myself not to remember what happened last 2004. 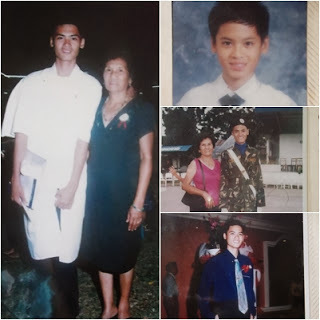 It was April 23, 2004 when I needed to leave Iloilo for a a particular reason - to study in Manila. It was hard for me to leave at that time knowing that I really don't know what awaits me there and how long will I stay there. All I know is that I'm going to study in Manila to pursue Architecture, but the reality is still vague. I really don't have a grasp of what's gonna be my life there, what kind of journey will I be trekking, and what future will I have. All those questions made my vision blurry and all I could think of is that I'm betting for an unknown future that has something to do with sacrifices. Now that I am enjoying the future that I was trying to decipher back then... this gave me an impression that my decision was right. All those sacrifices and all those tears paid off. 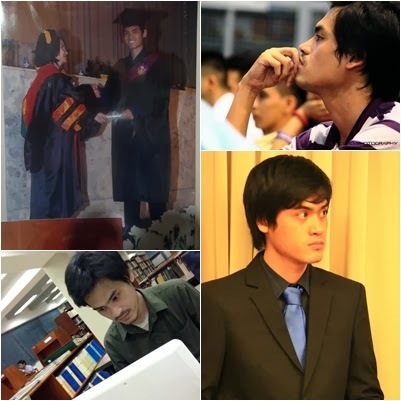 I am now an Architect, an academician, a young leader, and a future urban planner. Now, leaving home is not that hard at all knowing that I carry with me those dreams that I still need to achieve. With me are strengths that come from my family and from the people, who rely their own strengths on me. There's no time for me to give up now. This is not just for me... this is for everyone, who believe in me. A new year simply means a new beginning. We all have our own promises, goals, and actions being made as this bright year starts. And as for me, I made one thing - a photo blog. This photo blog is called "i.Shared", which is short for Instantly Shared. 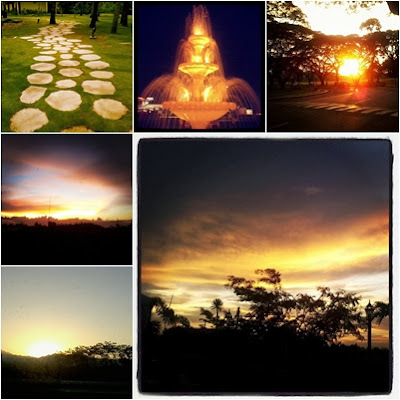 I made this photo blog simply because I want to create a place for my instagram photos. This new space will allow me to share my captured moments with my readers here, who are non-instagram users. Don't worry, there are lesser words in order to emphasize the picture more than anything else. 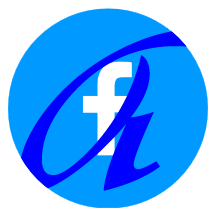 Feel free to visit my photo blog. This is my new year gift to you, guys. Thank you so much for staying with me and for being my avid readers.